Whether you’re buying a property for your family or for investment purposes, it pays to do plenty of research before you sign on the dotted line. Buying smart means you’re more likely to end up with better capital growth over time and higher growth in rental yields. So what are the top property suburbs and regions in Australia that you should be buying into? Melbourne’s property market might be showing signs of slowing, but that doesn’t mean there aren’t any potential hotspots in Victoria. Some property experts suggest that investors chasing rental returns should be looking outside Melbourne. For buyers looking for a home, cheaper areas within commuting distance of the city include Bendigo, Ballarat, and Geelong. Werribee has also been noted as a suburb with bargains for home buyers or for investors looking for an entry-level investment. 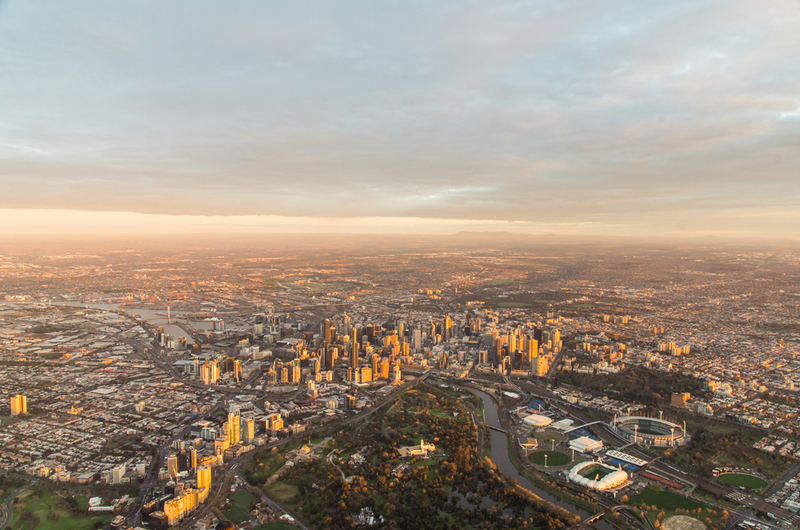 Melbourne’s west is also an ideal region for investors. The inner west is rich with infrastructure and the outer west has many ongoing property development projects. These suburbs often have supporting amenities such as playgrounds, walking areas, and parks that are highly attractive to buyers and renters. Reservoir, Preston, Coburg, and South Kingsville are also considered good investor’s suburbs. Melbourne’s bayside suburbs are considered a good bet for long-term capital growth, along with the suburbs in the south of Melbourne running from Brighton to Frankston. These areas have good infrastructure and are close to beaches, making them popular suburbs. Some property experts recommend buying into the middle and outer suburbs of Melbourne. These include Ringwood, Croydon, Wantirna, and Boronia in the east of Melbourne, and Deer Park, St Albans, and Sunshine in the city’s west. Other areas in regional Victoria to consider are Huntly, Baranduda, and the areas north of Bendigo. These hot spots offer inexpensive yet generously sized properties. They have good rental prospects due to a number of new developments and their proximity to major towns such as Wodonga and Ballarat. Data suggests that top suburbs or towns in Victoria for capital growth include Flinders, Wycheproof, and Portsea. For rental growth, investors could look to regional areas such as Loch Sport, Inverloch, and Silverleaves. The Adelaide property market is a stable one with fairly modest growth, but Semaphore Park and Mawson Lakes in South Australia are considered excellent options if you’re a homebuyer looking for a bargain. Other South Australian suburbs where you might be able to find a bargain include Goodwood, North Adelaide, Port Lincoln, Plympton, and Mount Gambier. If you’re planning to buy into a regional town or area, Whyalla Jenkins, Whyalla Playford, and Baudin Beach are some of the locations to consider. These locales offer cheap properties with good growth prospects. In terms of rental yield growth, the top performers in the state over the last 12 months include Coober Pedy, Port Wakefield, Thevenard, Port Pirie West, and Peterborough. The top capital growth towns or suburbs of the last year are Largs Bay, Solomontown, Tranmere, Largs North, Henley Beach South, Henley Beach, Hove, and North Adelaide. Interstate investors from Victoria and South Australia seeking to invest elsewhere in Australia could look to Sydney’s west, which includes suburbs such as Liverpool and Casula. Mt Druitt, Blacktown and St Marys also offer good entry-level properties, according to experts. Sydney’s eastern suburbs offer excellent growth prospects for investment properties, as do regional areas such as Wollongong and the Central Coast. Beyond Sydney and New South Wales, there’s the Gold Coast, Southeast Queensland, and New Farm, Ascot, and Paddington in Brisbane. Regional areas with plenty of developments to watch include Dundowran, Jones Hill, Ashfield, and Newton in Queensland; Heddon Greta and Cooma in New South Wales; and Marbelup and Dongara in Western Australia. shows that the top towns or suburbs for rental growth in New South Wales include Broken Hill, Dareton, and Malua Bay, while Clareville, Bodalla, and Pokolbin were the places that had the most capital growth over the last 12 months in New South Wales. One property expert offers a general tip for investors: the best places for both owner-occupiers and investors are the inner-city suburbs of capital cities that are close to transport, employment hubs and amenities. These are the hot spots that are most likely to see high capital growth while offering good rental returns and low vacancy rates. There are pros and cons of buying into regional as well as city or metropolitan areas. Generally, cities offer the best prospects for capital growth, especially when it comes to inner-city suburbs. Vacancy rates tend to be lower than for regional properties, but it’s harder to find a metropolitan property that’s positively geared. Regional towns and areas tend to have lower capital growth, but this is not always the case. Mining and energy towns can offer excellent capital growth, though growth tends to be tied to industry or company factors. On the positive side, regional properties tend to be cheaper and are more likely to be cashflow positive or positively geared. Whether you’re buying as an owner-occupier or as an investor, there are still many bargains and great deals to be found in Victoria, South Australia, and in other areas of Australia. Researching the areas you want to buy and assessing your property investment or ownership goals will help you find the right property with the best yield and/or capital-growth prospects. For a free assessment to see how we can help your body corporate with fully customised strata management solutions. Flammable Cladding in Apartments: Should You be Worried? What’s The Difference Between Strata And Community Title?